Our team is certified by the International Detailing Association. We are dedicated to making your ride look smokin’ hot. Call us today to set up an appointment! 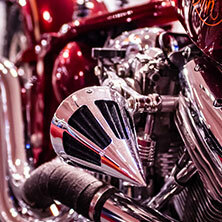 As bikers with more than 35 years of experience in motorcycle detailing, we know how to treat your bike. 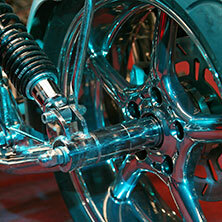 From a simple, yet thorough, motorcycle wash and wax to the most intricate paint and chrome restoration. 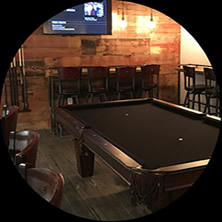 We have a wide array of amenities available in-shop, including a pool table, music, videos, and Wi-Fi. Don’t hesitate to get in touch with us. Our crew is here to help you with all of your detailing needs. 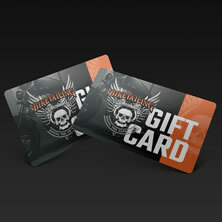 The perfect gift for your biker friend or family member. 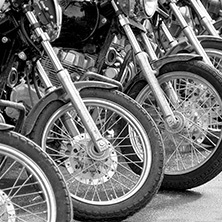 Motorcycle Valet Service. 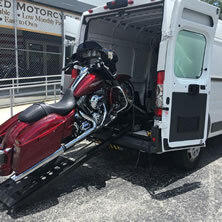 One-Way or Two-Way Motorcycle Valet. Ask for Details. 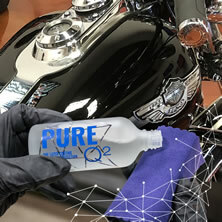 Upgrade Your Detailing With Long Lasting Ceramic Coating. 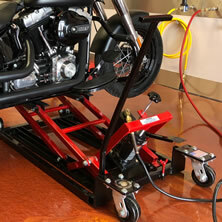 We Offer A Range of Products Including Pitbull Motorcycle Lifts. Our passionate detailers are here to make your motorcycle — from Harley Davidsons to Victory, Indian, Triumph, and more — look spectacular. We proudly offer a service that doesn’t exist anywhere else in Florida: certified detailing technicians providing a fun and exciting detailing shop. Our bar-like atmosphere and comfortable waiting area lets you kick back while waiting for your most prized possession to get detailed to your specifications. Let us take care of your ride, while you enjoy our free Wi-Fi and other amenities.